When you hire a developer, make sure they are up to date with current trends. While you might have a few ideas of your own, they are the experts and should guide you to ensure you get the optimum results from your website. You are the expert in your industry which means you’ll have an idea of how you need to present your products and services to potential customers. If your WordPress developer doesn’t listen to your ideas, you probably shouldn’t work with them. A great looking website means nothing if no one can find you online. That’s where digital marketing comes in. If your WordPress developer Cape Town doesn’t offer marketing as part of the package, do not hire them. Having a responsive website might sound like a fad but in actual fact, it is crucial that your website is mobile friendly. This will ensure that your website is optimised for any smart device. 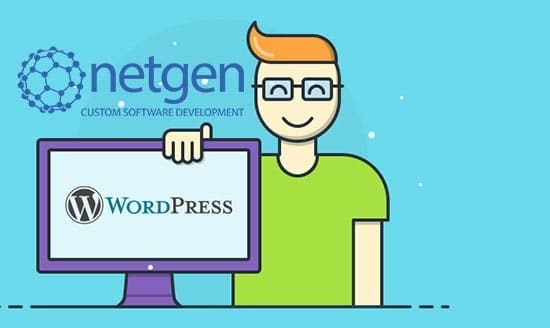 With more than 18 years experience in the design industry and offices in both Johannesburg and Cape Town, Netgen is known to be one of the top WordPress developers in the country. Not only do they offer professional and reliable service, their prices are competitive as well. For more information or an obligation free quote, get in touch with Netgen today!